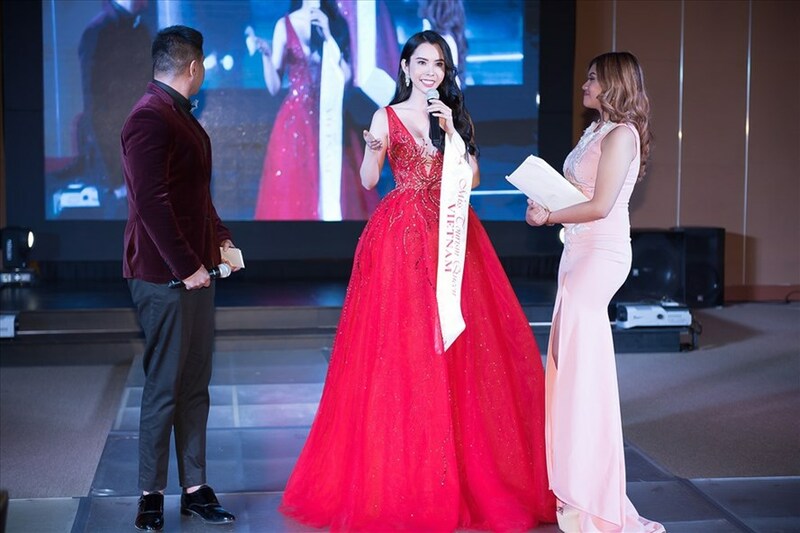 Vietnamese representative Huynh Vy has been crowned as the Miss Tourism Queen Worldwide 2018 on October 28 in Manila, Philippines. Vy is said to have made an impression immediately after arriving in the Philippines and was considered one of the best seeds for the crown. She also won prizes in four sub-contests including Miss Talent, Best in Video, Miss Body Beautiful and Best in National Costume. She wore a red dress on the final night and thanked her family and fans. "As a Miss Tourism Queen Worldwide, I'll participate in social activities and help promote Vietnam's tourism to the world," she said. In the introduction video, she called for the audience to visit and discover the beauty and cuisine of HCM City. Huynh Vy was born in Dong Thap Province. She is 170cm tall, weighs 49kg and measures 86-58-100. The sub titles including Miss Tourism Global Queen is Myanmar and Miss Tourism Grand Queen is Thailand. The runner-ups of Miss Tourism Queen Worldwide 2018 including contestants from the Philippines, North East India, Australia, and Malaysia. Miss Tourism Queen Worldwide aims to find the tourism ambassadors. It also calls for environmental protection and preservation of traditional cultures.